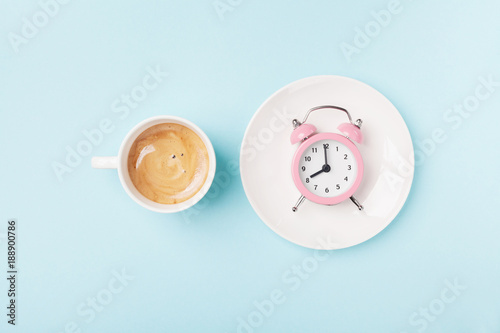 Morning cup of coffee and alarm clock on blue working desk top view. Breakfast time concept. Flat lay style.